Citrulline is one of the easiest ways to upgrade your supplement intake. A nitrate-booster, Citrulline Malate is a key ingredient in the best pre-workout supplements. It provides a wide range of benefits for general fitness, bodybuilding, strength training, and sports performance. Today we’re going to take you through everything you need to know about Citrulline, when you should take it, how, and what it can do for you. 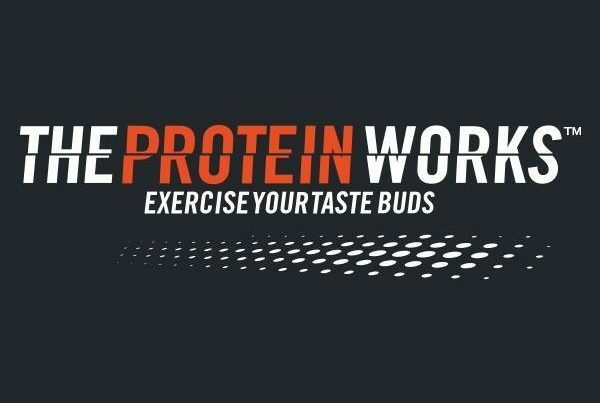 Stick with us if you’re ready to make one simple switch to boost your physique and performance! Muscles grow through a process of stress and recovery: you stress them through resistance training, then during the recovery process your body uses nutrients to support repair and growth. To prepare itself for future challenges, the muscle recovers a little stronger than before – this is how strength and size happen. There are two crucial elements you need during this process. First is the delivery of nutrients to the muscle and the second is making sure there’s a proper amount of nitrogen – this is the nitrogen balance. These two processes are going to be key when we look at Citrulline. 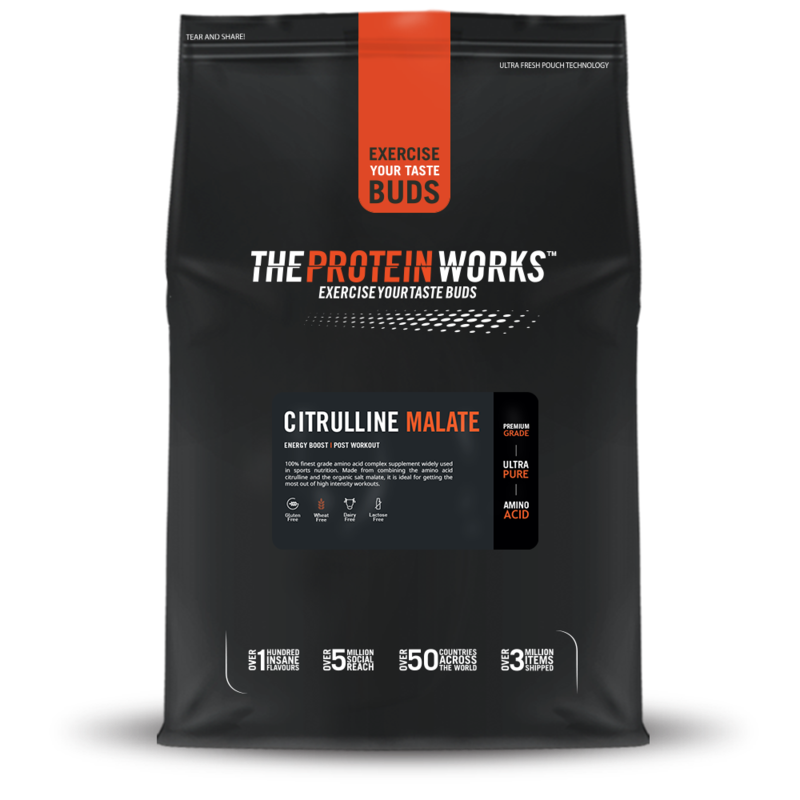 The big question is this: “How does Citrulline work? How can it improve my performance?”. Muscle requires oxygen to produce energy during long bouts of exercise or between sets. If you’re not getting enough oxygen to the muscles, you’re going to fatigue faster during your workouts. Oxygen is also crucial for recovery between training sessions during the repair of muscle tissue. The more efficiently oxygen can be delivered into the muscles, the better you’ll perform – and recover. Citrulline increases the oxygenation of muscles in the short-term which makes it a great part of a pre-workout supplements. Increasing delivery of oxygen to muscles is important for staying strong and recovering between sets – oxygen is used in reactions that replenish energy stores in the muscle. If you’re trying to increase your performance during a tough workout, Citrulline is going to provide a much-needed boost. This is one of the areas where Citrulline is awesome – it’s one of the most effective Nitric Oxide boosters through increasing arginine in the blood. There are a few of these on the market, but Citrulline is the king. Nitrogen levels in the muscles are the key to signalling for growth and recovery. This is how proteins increase your results, but it can also be adjusted by other compounds such as Creatine or, crucially, Citrulline. Arginine is one of the most popular supplements for this, but most people don’t know that Citrulline is actually superior. There’s a difference between the arginine you consume and the arginine level in your blood – the latter is far more important. Other NO supplements are inferior because they don’t actually get to the bloodstream. Arginine is often broken down during digestion while Citrulline turns into arginine in the body, making sure you get an effective dose. This makes a big difference in the results you’ll see and provides the best value for your money. So now you’ve got a brief idea of how it works, what can it do for you? What’s the point of taking it? Oxygenation is key to performance in the short- and long-term. The short-term effects are an increased time-to-exhaustion which means better workouts. Citrulline has also been shown to reduce soreness in the muscles: it addresses the metabolic damage that can come with long, hard workouts. If you’re training to failure, this is a great addition. The science even shows that Citrulline comes with a greater ability to sustain training volume. This simply means you’re going to be able to train more – and harder – during your workouts. This indirectly boosts your muscle strength/size gains: the more you can do and recover from, the better your results. There are also changes in the way that you experience the pump. This is one of the key reasons Citrulline is popular, even without considering the benefits! It feels awesome, reliably improving the effects of the pump. This is because of the changes mentioned above, as well as squeezing out those last few reps that you might not have in the tank without Citrulline. Recovery between workouts is 80% of getting stronger. No matter how you train, you’re not going to see results if you’re not recovering adequately. Lucky for you, Citrulline contributes to recovery in a major way and can give you the edge if you’re already eating and sleeping right. Studies on Citrulline also hint that it may directly improve muscular change when combined with healthy levels of leucine. As well as the nitrogen balance changes we mentioned above, it positively effects cell volume – another factor in muscle growth. While it won’t cause you to blow up, Citrulline can help you solve a suppressed muscle growth signalling process. This is another cool, cutting-edge benefit that makes this a great supplement to include in your diet and training routine – especially when combined with other key supplements (which we’ll discuss below). The final recovery benefit that’s worth mentioning is that Citrulline can actually improve your hormonal health in response to training. While it doesn’t have benefits for inactive people, studies show that people training with weights and supplementing Citrulline have an increased growth-hormone response. Since growth hormone is key for recovery and growth, it’s another way that Citrulline can reduce muscle soreness, metabolic damage, and all the other less-fun consequences of crushing it at the gym! You might not have thought about the health benefits of Citrulline aside from the massive guns, but it actually has a well-rounded effect on the body. To start with, studies have shown that it adjusts the post-training immune response. We tend to see a drop in immune function after the stress of training, but study-participants with higher serum arginine levels (the change we see with Citrulline) saw less changes and a faster return to normal immune function. The changes in heart health and circulation also have important health benefits for most people. Taking Citrulline can reduce blood pressure problems and may even help address the symptoms of poor circulation. These changes to cardiovascular health are a great bonus to the performance and recovery benefits that we normally associate Citrulline with. Finally, Citrulline has a small positive effect on male sexual health. Improvements in blood pressure and nutrient-delivery play an important role in potency and sexual wellbeing. While it’s not the main selling point of this awesome supplement, it’s definitely another reason to choose a high-quality Citrulline supplement. There are a few compounds that make great pairings with Citrulline. Because of its fantastic range of benefits, it has a few great synergies that can really make it worth your while. We’re going to discuss a handful of them – but this is definitely not an exhaustive list! These 3 compounds make for an awesome combination. They all contribute to performance at different levels and during different types of exercise. Combining the 3 is an easy way to improve your performance and handle tough, high-volume workouts. Creatine is the strength-endurance supplement and will help you with heavy-weight, high-power workouts. 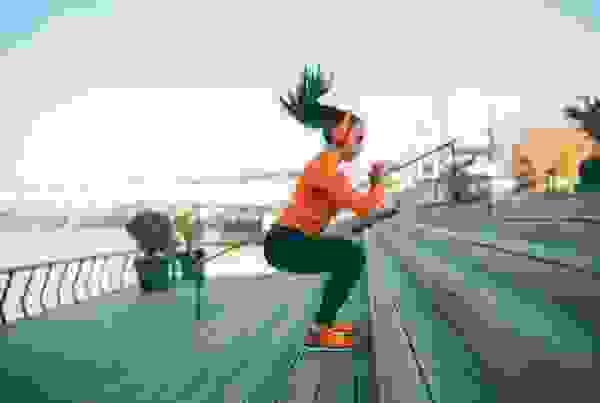 Think heavy squats or sprints where you need to be able to exert huge force a few times in succession. This is key to getting the most out of your strength workouts. Beta-Alanine and Citrulline work on the other end of the spectrum: they improve endurance when you’re already fatigued. They both increase your time-to-exhaustion. This is going to be essential for high-rep exercises – especially in bodybuilding-type exercises – and endurance training. Combining these 3 key ingredients is going to improve your performance and volume-tolerance across every part of your training. It’s a simple combination, but it can make a serious difference if you’re pushing yourself to the limits! This one is a bit unusual: you should be combining Citrulline with green tea if you want to maximise your recovery. This doesn’t mean stirring Citrulline into your afternoon tea, but the two do have interesting combined effects. Both Citrulline and the “GABA” in green tea provide benefits to growth hormone in those performing resistance training. Combining the two is a great way to capitalise on these effects and make the most of the recovery-boosting effects of both the green tea itself and Citrulline supplementation. This is an easy combination in an area of recovery that you might be neglecting. Once again, Citrulline’s benefits are about fine-tuning recovery in small ways that add up in the long-term! Leucine is the most important amino acid for muscle growth – it is central to the signalling processes in the muscle that tell the body to produce more muscle. It is one of the two “keys” – along with nitrogen balance – that are necessary for optimum response. Citrulline and Leucine have interesting complimentary effects. The way it seems to work is that Citrulline improves the body’s response to leucine, which is one of the ways that it can normalise your muscle-building processes. This can be useful if you’ve got a suppressed signalling process and may help with those stalling gains you’re experiencing. You want to be taking around 6mg of leucine – a supplementary dose – along with Citrulline to keep the overall process reliable and effective. Citrulline is one of the best ingredients you can find in a pre-workout – it has real benefits to the way you feel, perform, and recover. Added up, these can provide a real edge to your training and make those goals you’re chasing far easier. The combination of Citrulline with other supplements is also interesting. It is a great choice by itself but if you’re looking for the very best gains there are plenty of options for synergistic pairings. A high-quality pre-workout will usually make this easy by combining them in a single powder. If you’re looking to make the most of your training, Citrulline is one of the best choices. If you’re ready to step your training up, we have a wide range of supplements that include Citrulline and its key synergists!